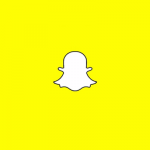 Snapchat is reportedly in negotiations with several companies, including Spotify and Vevo, as it prepares to launch a new version of its app. 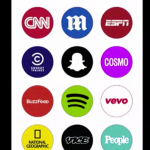 The new edition of Snapchat is set to offer a Discover function where features, songs, and videos can be shared for a limited time on the app, much like how photos and short clips are shared now. However, the new additions to the app differ from the shorter clips that are presently shared as features, songs and videos of all lengths are set to be available on the platform, according to DigiDay. BuzzFeed, CNN, ESPN and Vice are reportedly among the media companies that are in talks with Snapchat. ESPN and Vevo have reportedly confirmed that they’re in negotiations, while the other media outlets have declined to comment. The Discover function of the app was meant to be released in November. However, it seems the function release has been pushed back due to technical issues.